We members of Sadhana are yet again, heartbroken about the hatred and violence that continues to sweep through our world. ISIS has taken responsibility for the attack yesterday on the Westminster Bridge and Houses of Parliament in London in which five people lost their lives including the perpetrator and a policeman. And right here in NYC, a white supremacist man traveled from Maryland to NYC with the explicit goal of killing black men -- and he did indeed shoot and kill 66 year old Timothy Caughman. Of course, we condemn both heinous acts and we grieve. In recent weeks we have grieved for the hate crimes and killings in which 4 Hindu and Sikh men were shot and two killed -- Srinivas Kuchibotla and Harnish Patel. And even as we express our pain at all of this violence, some of which targets us, we remember that in India a Yogi who has said that “If one Hindu girl marries a Muslim man, then we will take 100 Muslim girls in return” and, “if they [Muslims] kill one Hindu man, then we will kill 100 Muslim men,” was recently appointed to lead Uttar Pradesh, India's biggest state. This same Yogi has publicly praised Donald Trump for his travel ban. Just as Yogi Adityanath does not represent all Hindus or the Hindu religion, and just as the shooters of Srinivas Kuchibotla, Harnish Patel and Timothy Caughman, do not represent all white Americans, we must remember that the perpetrator of the London attack, identified as Khalid Masood, does not represent all Muslims or Islam itself. We stand with the British Muslims who have created a fund for all the London attack victims and their families, and invite you all to donate. We stand with all the New Yorkers who will gather tomorrow at Union Square to honor Timothy Caughman at the NYC Resists Hate Crimes" rally, and invite you all to join us. And we stand as Hindus who will say again and again and again that the Hinduism we belong to, that we embrace, that we adore has no room for hatred, only love of one and all. The only way to fight hatred is to unite with all who stand against hate. Let us all -- justice-oriented people of every religion, race, caste, gender -- unite in a love so powerful and revolutionary that it will conquer the hatred that is tearing apart our communities. Om. We worship and adore you, O three-eyed one, O Shiva. You are sweet gladness, the fragrance of life, who nourishes us, restores our health, and causes us to thrive. As, in due time, the stem of the cucumber weakens, and the gourd is freed from the vine, so free us from attachment and death, and do not withhold immortality. 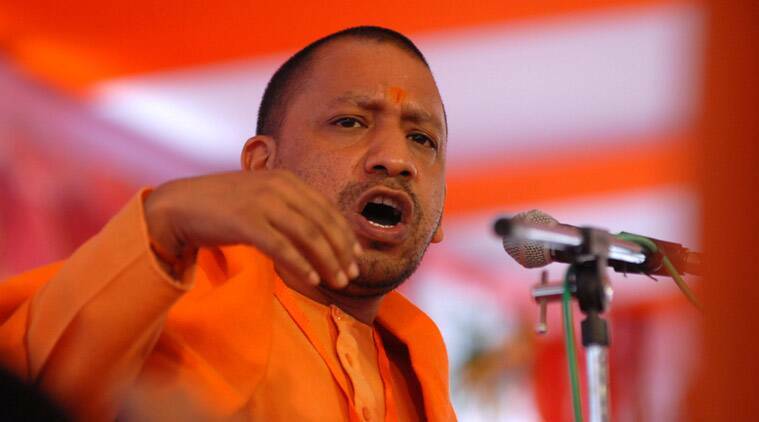 Sadhana Coalition of Progressive Hindus is deeply concerned about the recent swearing-in of Adityanath to the position of Chief Minister of Uttar Pradesh, India's most populous state with a population exceeding 200 million. Adityanath, who uses the title 'Yogi" to denote his role as a priest, was appointed by the Bharatiya Janata Party (BJP), which swept the most recent state elections, claiming 312 of 403 legislative seats. Adityanath’s self-declared and openly stated Hindutva (Hindu nationalist) positions clearly indicate an administration that will place the vilification of Muslims as central to their policy-making. He has advocated for shutting all slaughterhouses in the state and placing statues of Hindu deities in every mosque. Adityanath also praised the Trump administration's Muslim ban, and called upon the Indian government to take similar actions. At one speech of his, he said, “When I speak, thousands listen ... When I ask them to rise and protect our Hindu culture, they obey. If I ask for blood, they will give me blood... I will not stop till I turn UP and India into a Hindu rashtra [state]." Despite describing himself simply as a “religious missionary” and “social worker", Adityanath owns a rifle, revolver, and assets worth over $100,000 -- odd for someone who wears saffron robes and claims to be a sannyasi. According to one count, he has at least 18 criminal charges registered against him, including attempted murder, criminal intimidation, rioting, defiling places of worship, and promoting enmity between different groups. As progressive Hindus who hold ahimsa (non-violence), ekatva (oneness of all), and seva (selfless service) as our core values, Sadhana vehemently denounces the selection of this particular individual to the position of Uttar Pradesh Chief Minister. This creates and promotes an agenda that scapegoats a vulnerable minority community and legitimizes violence against them. He does not represent the Hinduism we believe in, and we call on all progressive Hindus to stand up against him and all other advocates of violence and intolerance. Sadhana is commemorating International Women’s Day by standing in solidarity with Radhika Vemula. We share her grief due to the loss of her son Rohith to casteist discrimination; we condemn the emotional and physical attacks on her integrity and person she has suffered at the hands of police more than once. Sadhana honors Radhika Vemula and pledges solidarity with her, and all those fighting against caste discrimination. We call on Hindus in India and around the world to join us in standing firmly against caste and casteism. If we are all one, interconnected and equally connected to the divine, then we all should have equal access to justice. Join us in declaring that it is unacceptable, unjust and un-Hindu to discriminate on the basis of caste. Sadhana Coalition of Progressive Hindus offers our most sincere prayers to the 75 men, women, and children who were killed and the hundreds who were injured earlier this week at the shrine of Lal Shahbaz Qalandar in Sindh, Pakistan. Pakistani author Haroon Khalid writes, "While claiming responsibility for the attack, ISIS called it a Shia gathering. They couldn’t be more wrong. Religious devotees at the shrine of this 12th century saint cannot be compartmentalised into categories through which ISIS sees the world. To his devotees, [Lal Shahbaz Qalandar] is not a Muslim or a Shia saint. He is a peer, who cannot be constrained by confines of religious boundaries. To the Sindhi Hindus, forming the largest religious minority in the country, he is their peer as much as he is the peer for Muslims. When I was a toddler, my masi (mother’s sister) gave me a hard back of the Stories from Panchatantra, a book of moral tales where different animals, humans and some of the gods interact. There is one story that is particularly relevant for our current times. The Four Friends is about a mouse, crow, tortoise and deer. One day, deer was missing, so the other three friends went in search of her, and found her trapped in a hunter’s net, so they helped her free from the net. As they were leaving, the hunter came back, and the four friends fled, however, tortoise was not fast enough to hide, so the hunter grabbed him, and put him in a bag. Lokasamgraha means welfare of and justice for all people and the world. Sadhana: Coalition of Progressive Hindus is saddened to see and hear that in his first few days as President, Donald Trump has signed executive orders that would slash the rights of immigrants and women, have deleterious effects on our climate, and take away healthcare from those who need it. On Monday, Trump reinstated the global gag rule also known as the “Mexico City Policy,” which means that millions of women across the world will lose access to safe abortion and birth control; thousands could die as a result. The rule has gotten in the way of HIV prevention efforts, contributed to the closing of health clinics, obstructed rural communities from accessing healthcare, and has the potential to hinder the speed and effectiveness of humanitarian aid. In a further act against women, Trump is calling for the elimination of 25 of the grant programs managed by the Office of Violence Against Women housed at the Department of Justice. These grants go to organizations working to prevent domestic violence, sexual assault, dating violence, stalking, and elder abuse, including many organizations that Sadhana has collaborated with to promote gender equity and prevent domestic violence in our community. Without this funding, groups like ours could be less equipped to help survivors of domestic violence and abuse to begin the healing process and rebuild their lives. Trump also signed executive orders to revive and encourage the development of the Keystone XL pipeline and the Dakota Access Pipeline. Over the past few years, numerous diverse climate justice warriors, particularly indigenous and native peoples who have often faced broken promises from the US government, have, in full consciousness of protection for the most vulnerable lands and peoples of Bhumi-devi, or Mother Earth, have their put their bodies on the line to prevent these projects from moving forward. The Obama Administration responded to the climate justice movement by calling off key components of these projects, agreeing that the concerns of our planetary community must come first and foremost. The Trump Administration, to no surprise, has decided in the negative against the protection and flourishing of our planetary community. Anantanand Rambachan, esteemed Hindu scholar/practitioner, author of A Hindu Theology of Liberation, and advisory board member of Sadhana, tells us that "wealth, however, must always be pursued with attentiveness to dharma, which is, in its broadest sense, the regard for the well-being of the total community of living beings and the world of nature. Economic growth is desirable but cannot be measured only by profit. Its wider impact on human beings and on the environment must be taken into account. By the centrality given to dharma, the Hindu tradition obviously holds that wealth (artha) and dharma (virtue) can happily exist together. Fidelity to dharma requires the use of land, water, air, and other natural resources in ways that promote the well-being of all. Sometime this week, Trump is expected to sign executive orders that would prevent Syrian and Muslim immigrants from entering the United States. The policy would halt admissions from Syria and suspend admission from other Muslim-majority nations until the Trump administration can study how to vet these countries. This means there will be many displaced people who can no longer take refuge on American soil. While the consequences of the executive orders remain to be seen, what they will do is convey to an entire faith community that they simply do not belong in the United States. These orders could contribute to further attacks and hate towards our Muslim brothers and sisters. Since Trump’s inauguration, we have already seen this hate manifest towards our dear sister Linda Sarsour, a co-organizer of the Women’s March on Washington D.C., who is the subject of Islamophobic attacks all over social media and in the press. Sadhana will not stand for this, or any type of hate, especially based on faith. Last Saturday, the White House website eliminated pages devoted to the climate, to the LGBT community, to indigenous people, to healthcare, and also removed the Spanish language version – this all signifies the lack of importance being placed on these critical issue areas and vulnerable communities. Sadhana fully condemns these rash decisions by Trump which do nothing in the short-term or long-term for the social, economic, and ecologic well-being of anyone affected. Hindus worldwide follow the principle of vasudhaiva-kutumbakam, in which all living beings on this planet, beyond any oppressive designations concerning race, caste, or species, are seen as one beloved family, one beloved community. The actions of the Trump administration bely and defy this understanding of our Earthly unity, and we join with the worldwide justice movement in resisting these actions in seva of Mother Earth and her most vulnerable inhabitants. Taken together, the executive orders and budget cuts that Trump has proposed send a clear message: America’s most vulnerable come last. We loudly reject this message and commit to speaking out against it. Sadhana marched in solidarity with women and men around the world last Saturday and each step fueled our continued commitment to fighting tooth and nail for our democracy. Attend the Emergency Rally for Muslims and Immigrants being held tonight, January 25th, at Washington Square Park (5 Avenue, Waverly Place, West 4th and MacDougal Streets) from 5pm to 8pm, or Hate Free Zone: Love and Protect Each Other rally being held in Brooklyn tonight from 5pm-7pm (Avenue C Plaza, between McDonald Avenue and Avenue C, Brooklyn, NY 11218). Attend the Emergency Action #NODAPL #NO KWL: Sign of Resistance event at Grand Central Terminal (87 East 47th Street, New York, NY 10017) tonight, January 25th, at 5pm. Sign the Do Not Stop Refugee Resettlement Petition. Some of us in Sadhana will be in both Washington DC and New York City this Saturday for the Women’s March. We will be marching to assert our collective voice for justice as immigrant Americans, Hindu Americans, and just plain Americans. We support this march because it epitomizes values which are so central to our mission and our grassroots advocacy. Sadhana is grounded in ekatva - oneness of all humanity. It is this principle which propels us to fight for equality. All of us are equal and deserve equal access to justice, regardless of race, gender, sexual orientation, religion, caste, or any other identity. To that end, we will march because women must get the same wage as men for the same work – Sadhana supports equal pay for equal work. We will march because we must all get a living wage – Sadhana supports the fight for a $15 minimum wage across the country. Much of our work is also steeped in ahimsa (non-violence). We will march because there can be zero tolerance for violence against women and sexual harassment. We will march because the Earth also deserves to be treated with peace – climate action now! We will march because Muslims, immigrants and the LGBTQ community should not be targeted and discriminated against. By marching on Washington, we see ourselves as part of a huge force in America of men and women, individuals and communities, insisting on justice for ALL. In Hinduism, the word “Shakti” is the only word that truly exemplifies “strength” and “power;” “Shakti” has always been perceived as female. Among the major world religions, Hindus subscribing to Sanatana Dharma perform worship to various goddesses, including Durga (goddess of power), Kali (goddess of creation and destruction), Lakshmi (goddess of wealth) and Saraswati (goddess of wisdom). Moreover, Hindu scriptures, namely those categorized as “sruti” (that which is heard and of divine origin) like the Upanishads see all human beings as equal, irrespective of gender. We could argue that Hindu theology reveres women, while cultural norms have tended to discriminate against women. Bhagavad Gita Chapter 6 Verse 32 indicates that an individual who “regards with equanimity the happiness and distress of all others, as if it were their own, is considered the best of yogis.” Surely, if a person were to put them self in the position of a woman who was not equipped to bear a child, s/he would want the ability to choose. Surely, a woman should have control over her own body in the same way a man has control over his. Anything else would be denying the equality that the Bhagavad Gita calls upon us to carry out. This is our position as Hindus at Sadhana, though we do not claim to speak for all Hindus. Dharma (Hindu duty/moral order) is fluid; it is not absolute or rigid. Dharma is contextual and flexible; it is understood based on the time and space in which it exists. It has taken our country so long to get as close as we have to gender equity and the equilibrium that the Gita so often references. Protecting women’s reproductive rights is supremely important during this uncertain time. Any attack against women’s rights would be an attack against dharma. Our dharma would therefore beckon us to stand with Planned Parenthood, as it is a primary provider of women's health services. The Bhagavad Gita gives me clarity whenever I am fearful or unsure. This beloved text teaches me time and time again the path of karma yoga, the path of righteous action: that there is no option but to act, and the best action is selfless service and devotion to dharma which is nothing other than justice. The true karma yogi is like Arjuna in the Mahabharata when his teacher asks him to show him his skill as an archer. Arjuna doesn't see the sky, or the forest, or the tree, or the trunk, or the leaves or the branches. Not even the win gs or the body of the bird in the tree. All he sees is the eye of the bird. And he shoots it. When we act this way, wholeheartedly, with focus and conviction, devoted to God or dharma or justice, the "I" disappears, the "you" disappears, even the action disappears. All we see is the eye of the bird - truth, dharma, justice, God. who see God in every action." In this moment of uncertainly and turmoil, let us honor that great karma yogi Dr. Martin Luther King, Jr in the most fitting way -- by acting wholeheartedly, by serving selflessly, and by leading in a way that is devoted to dharma or justice. Sadhana: Coalition of Progressive Hindus is disturbed by the Hindu American Foundation’s (HAF) statement yesterday expressing concerns about Congressman Keith Ellison’s (D-MN) bid to head the Democratic National Committee (DNC). The basis for HAF‘s concerns is their contention that Rep. Ellison has been vocal on the oppression and discrimination faced by Muslims and other minorities in India, but not against the oppression faced by Hindus in Muslim-majority regions like Kashmir, Pakistan, and Bangladesh. As a 501(c)(3) non-profit organization, Sadhana refrains from taking a specific position on Ellison’s bid for the head of the DNC. However, Ellison has a been a leader for progressive politics and policies that make the lives of all Americans—including Hindu Americans—better. Among these are his voting record against escalation of the Iraq War, raising minimum wage, LGBTQ rights and abortion rights. It is certainly true that Ellison stands for many of the same progressive and inclusive values that we in Sadhana embrace. Thus, as a progressive Hindu organization, we feel it is imperative to state unequivocally that HAF does not speak for all Hindus, and they certainly do not speak for us. The tone of HAF's statement is extremely dangerous. In the accusation that Ellison is indifferent to the plight of Hindus in Pakistan, Bangladesh, and other regions, HAF reveals a stunning indifference to the clearly documented oppression of Muslims and other minorities in India. It is HAF’s prerogative to insist that elected officials give attention to any violence perpetrated against Hindus; but to say that an elected official should not bring attention to violence perpetrated against Muslims betrays an Islamophobia and a sympathy with Hindutva ideology which we cannot condone. Sadhana believes fervently that injustice against ANY community of people is wrong and against the Divine will and presence of Divine love in the world. Our core principles of ekatva, or oneness with all beings, and ahimsa, or peaceful, non-violent relations with all beings, are not sectarian values. We offer the righteous seva, or service, of co-creating justice with all peoples deserving of such justice. We at Sadhana defend and express our Hinduism as a vessel of justice for ALL marginalized peoples; never one at the expense of another. In addition, we commit to engaging Rep. Ellison and his office on Hindu American issues, including religious discrimination/bias, racial justice, and environmental justice. This is the Thanksgiving after an election result which has opened the floodgates of hate crimes and incidents, and has filled our immigrant and minority communities with nothing short of terror. The reported hate crimes since election day are now numbered at 701, according to the Southern Poverty Law Center. The Sunday after the election, a group of parents of kids attending Brooklyn Bala Vihar, a Hindu Sunday school where I teach along with other parents, were spat at by a man who said, “I don’t like Indians and Pakistanis.” And a Brooklyn Heights playground where my kids played often when they were small, was defaced with swastikas. My life’s work has been in women’s rights, but like most left-leaning social justice-oriented Hindus, for most of my life, I kept my work very separate from my religious life. I am not a scholar practitioner, but an ardent activist practitioner, and it is with great humility that I share my journey.